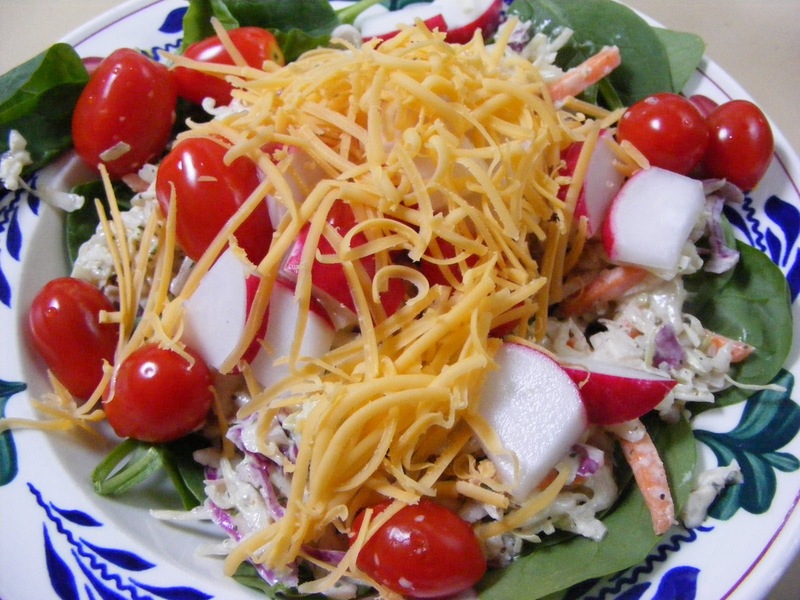 The Lunch Lady: Eat Mo' Salad! Do you eat Salad? Our family L.O.V.E.S. it. Sometimes the younger boys will forgo the lettuce and just eat the peppers, carrots, and cukes. I started feeding them raw veggies when they were able to chew them. My oldest loved salad when he was 2! Okay, that's pretty bizarre but he has always loved the crunch. 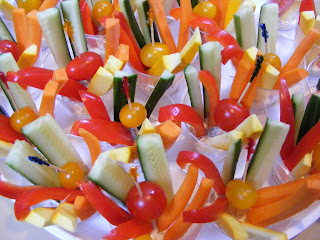 In fact, I think my boys prefer raw vegetables to cooked vegetables. I used to give them a tiny bowl of ranch dressing and a couple of veggies to dip with. They still fight over the plate of veggies these days. I now buy my carrots in 5 pound bags and peppers by the 6 pack. 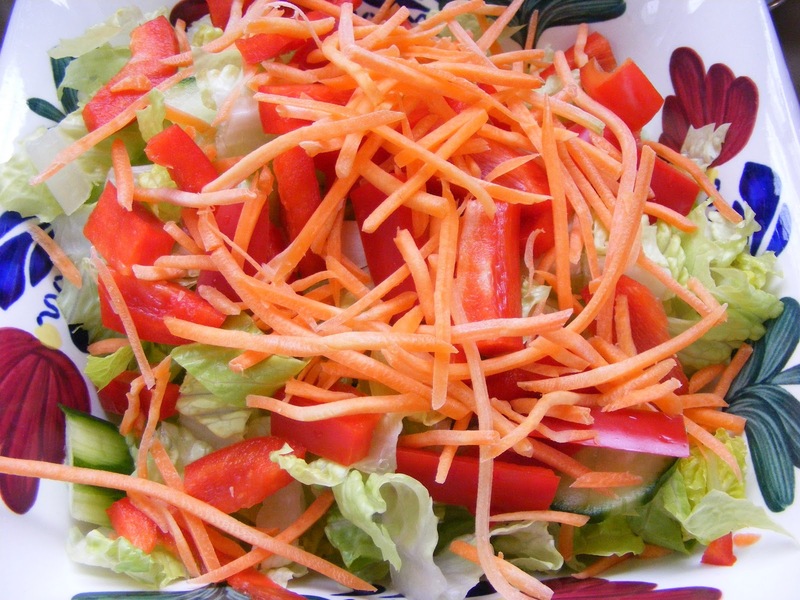 Salad is a great nutritious way to start your meal. Our favorite salads are Organic Romaine Hearts chopped with a nice sharp knife from tip to root. The vein gives a nice crunch! 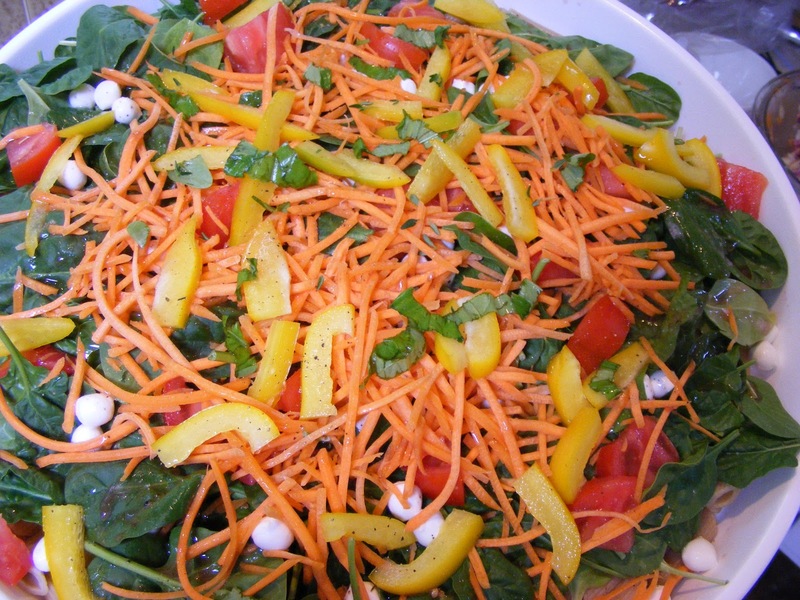 We add organic carrots, English cucumber, red, yellow, or orange bell peppers, tiny bits of red onion and a delicious homemade salad dressing. 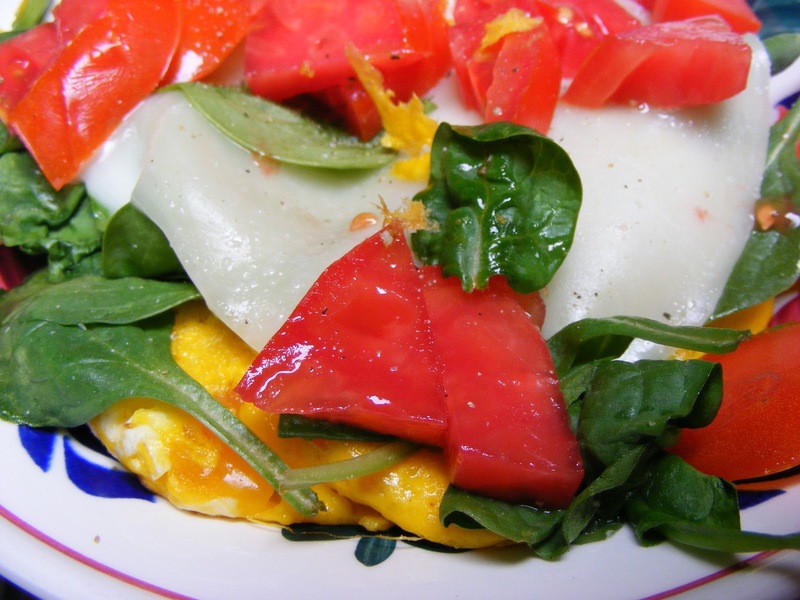 One of my favorite concoctions is to make a free-range egg omelet, add some organic baby spinach greens, a slice of provolone, and a fresh sliced tomato. Allow it to melt together. No dressing required. 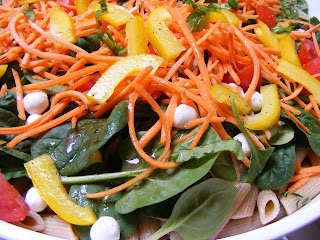 Pasta Insalata makes a great lunch. Your salad options are really limitless! Add cooked or raw veggies or a nice piece of steak or grilled chicken. Salad does not take long to make, boosts your vitamin intake, and gives you great energy. I have organic brown rice cooking on the stove for brown rice sushi that's super easy and budget friendly! Easy recipes to follow. I promise. Next up? Homemade Salad dressings that are super quick and easy to make and not full of unpronounceable scary stuff. Tips: Try to buy organic as much as possible, starting with your salad greens. If you can't buy organic, then buy local in season! I can't wait till Spring! I love salad, too! I am looking forward to hearing about your homemade dressings. What is a basic dressing that could be changed/enhanced? What oil do you prefer? i am enjoying your blog. keep posting easy veggie recipes. i am going to try the bean recipe some day. happy eating... p.s. mike has seen some huge rewards by eating certain foods at certain times... and the extra energy he has is a huge bonus!! !